The convenient way to empower the capabilities of Rohde & Schwarz radios in networks. The R&S®RNMS3000 software supports the centralized network management, where one central organizational unit performs the complete mission planning, as well as the decentralized management, where the various configuration steps are accomplished on different military hierarchical levels. 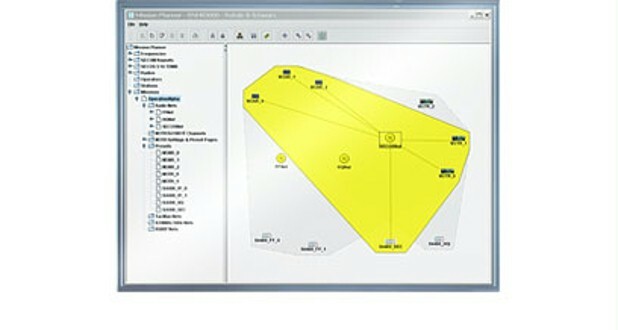 The R&S®RNMS3000 software suite, consisting of the mission planner, the remote device loader and the remote distributor. The objective is to provide mission-tailored and secured radiocommunications networks. Especially the R&S®RNMS3000 capability to manage NATO-specific waveforms, as well as general HF House waveforms and Rohde & Schwarz proprietary waveforms, underlines its broad range of applications.